When you think about buying headphones the first few brands that come to mind would probably be, Beats, Sony, Bose and Skullcandy, more than likely. I’m here to introduce to you a fairly new company, with a lot to pack, AudioFly. They are a company based in Australia and they both design and build headphones. They base their design with an old school touch but with new inspiring technology for audio. They currently have 4 headphones out, the AF33, AF45, AF56 and the AF78. 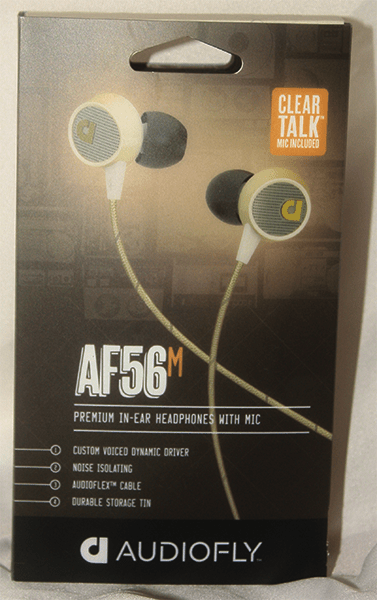 In this review I’ll be testing the AF56, their second best that they have on the current market. 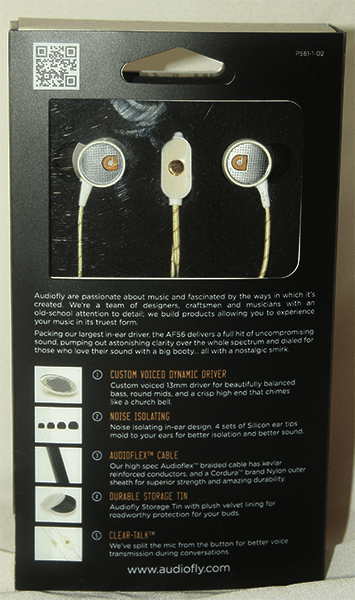 AudioFly AF56 is packing their largest in-ear driver and ..”delivers uncompromising sound, pumping out astonishing clarity over the whole spectrum with a rich and detailed bottom end…” according to their website. 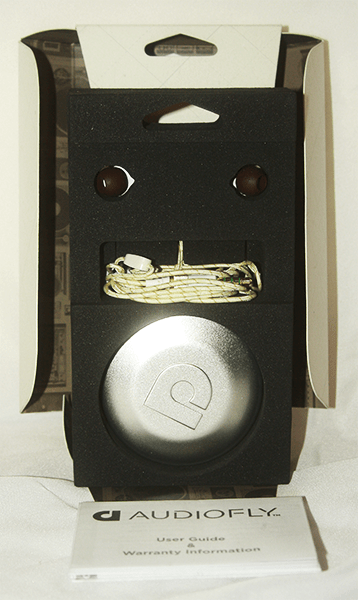 Custom voiced 13mm driver produces a powerful bass response, blended with effortless detail in the middle and high end. Our high spec Audioflex™ braided cable has Kevlar® reinforced conductors, and a CORDURA™ fabric outer sheath for outstanding durability. We’ve split the mic from the button for better voice transmission during conversations. The Front and back of the packaging is very attractive and are color cordinated by what color you choose. It also provides a lot of eye catching information that would make you want to pick it up and read some more. Packaging inside is nice and neat, with foam base holding the headphones, silicone ear tips, tin storage and the user guide. For testing I brought it up against a First Generations In-Ear Beats. These are the ones that came with the HTC Rezound. First test I preformed was a talking test. Both Beats and AudioFly did well in a quiet room, but, when adding a noisy background the noise cancellation on the AF56 was a lot better, there was still noise, but you could still hear and make out what the voice was saying. What I also liked is the mute button that you can press on the AudioFly Headphones. Music testing using my little cheap phone, my Beats actually sounded a lot better, could hear the bass and all. The Audiofly sounded like the treble was up too high. Music Testing take 2, using my computer, hooked up through my speakers. I can control the ‘tone’ or ‘bass’ levels through my speakers and I kept it at all the way up. Doing so playing music, I felt that the AF56 sounded a lot clearer with the perfect mix of bass and treble when listening to music having the bass setting maxed. Compared to the Beats where it sounded a bit muffled. Over all I would prefer to the AudioFly over the Beats when you’re watching something, or listening to musical casually on your desktop or laptop. I’ve lost the original eat tips for my Beats so the ones I currently use for them are pretty comfy, but with both Beats and Audiofly they are both pretty comfortable to wear once you find the size that fits you the best in your ears. 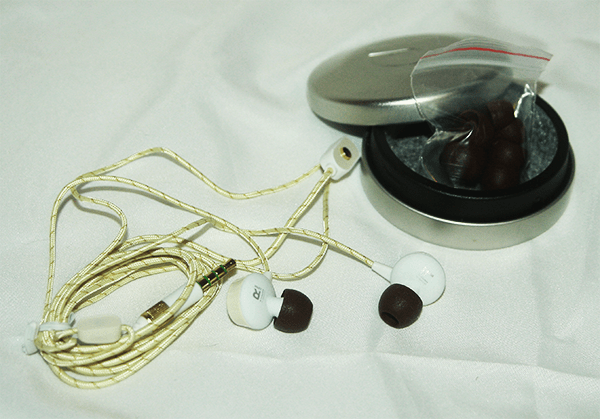 The AudioFly AF56 for it’s retail price is pretty awesome, a great competitor for Beats. Clear voice talk with optimal noise cancellation and the equal balance of bass and treble to provide clear listening experience for any type of music makes this a substational pair of in-the ear headphones. I’ve had my Beats for 2 years now and I love them. I prefer my Beats over the new Beats any day of the year, but there are going to be some things I’ll be using the AudioFly over my beats over.